2010 Seminole Hard Rock Calendar Girl Unveiling Tonight!!! Could I possibly be the luckiest guy in the world? Okay maybe that is exaggerating just a bit, but tonight is one of those instances where you just kinda feel like it doesn&apos;t get any better! Tonight Jerm will be attending a Tampa Bay area events extraordinaire at the unveiling of the 2010 Seminole Hard Rock Girls Calendar! Yes I know right, such a hard life I live these days. 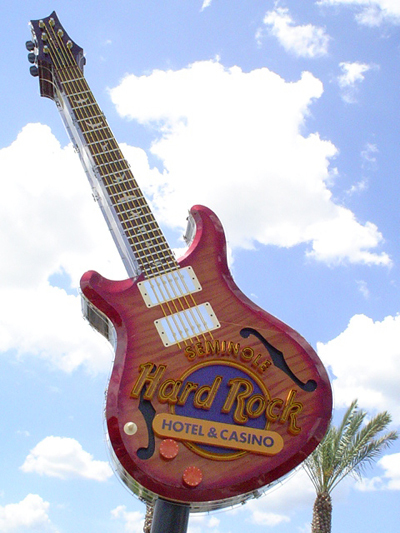 The event is going to be held in Floyd&apos;s from 7:30pm-9:30pm at Floyd&apos;s located in the Seminole Hard Rock Hotel & Casino. Sorry guys, but this shindig is invite only, so if you want to see pics and get a re-cap your going to have to live vicariously through Jerm! Be sure to follow us on Twitter if you want to see all of that! Lucky for you though, I will be Tweeting live and possibly Twit-Pic&apos;ing if I am allowed to do so. I may even take a picture with my favorite HR girl or being the popular person that I am, take a picture with ALL OF THE GIRLS! Now just because you can&apos;t ball out with me tonight at the event, doesn&apos;t mean you can&apos;t enjoy the Hard Rock Girls, so be so to purchase yourself a copy of the calendar as it goes on Sale Dec. 3rd at 9am for $10! Net Proceeds benefit The Spring of Tampa Bay, so its for a great cause! So stay tuned tomorrow for a follow-up blog from me, and until then stay tuned in for more things to do in Tampa Bay!